When Ferdinand Magellan emerged from the 375 mile passage across South America that would one day bear his name – the Strait of Magellan – he famously dubbed the serene seascape that lay before him Mare Pacificum - Latin for Peaceful Sea. 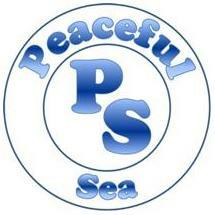 Historians have long delighted in the irony of the moniker, for the Pacific Ocean is frequently anything but peaceful. From nature's own tsunamis, typhoons and volcanoes, to some of history's bloodiest and most barbarous conflicts, violence is a fact of life on the world's largest body of water. Nonetheless, Magellan's first impression has its own truth about it. With their palm lined beaches and sparkling blue water, the islands of the Pacific are so enticing that they have become cultural icons of paradise. My own fascination with the history of the Pacific began simply enough with the acquisition of a handful of envelopes one of which is pictured below. 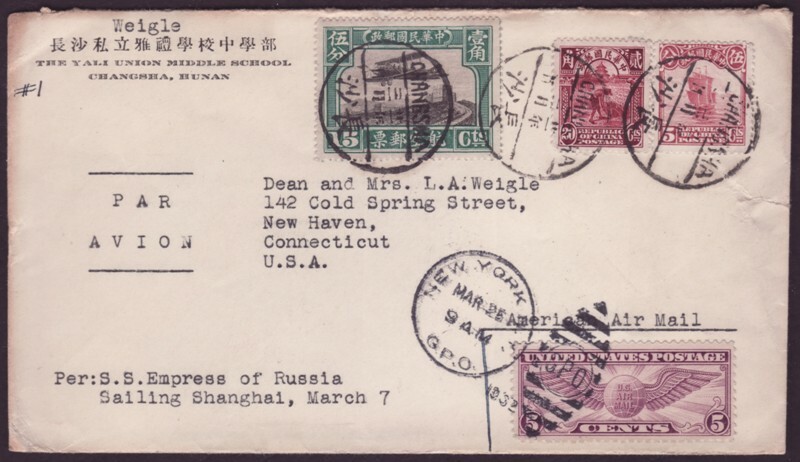 Posted from China in 1932, this bit of vintage paper once contained a letter home. It is notable to postal historians for a number of reasons, such as the use of stamps from two different countries and the various instructions and transit markings which have been applied. But at a more basic level this artifact is testament to how large the world still was in 1932 - that at a time generally considered modern, sending a letter across the Pacific was no small undertaking. 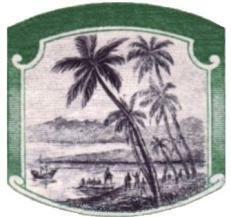 What follows are the collected impressions of my efforts to understand the role of this peaceful sea in human affairs, and of western civilization's centuries long quest to explore, tame, or sometimes simply to cross the Pacific Ocean. In 1908 the United States Navy circumnavigated the globe stopping in 20 ports of call including Japan. Made in an atmosphere of uncertainty, the visit to Japan was a great diplomatic success.